Instead of having cake and eating it we are getting just desserts. Yesterday we saw a drip of technical notices from the UK government setting out many of the consequences of no deal - none of which will be news to readers of this blog. Curiously, there has been no political attempt to spin them on the part of the Conservative Party or the government. They stand there as the government's own official legal assessment. Project Fear it is not. Even the BrexitCentral propaganda merchants can't spin this away. No deal is not an option and Theresa May now knows this. She is, therefore, doing all she can to stay in the game and doubtlessly the EU is all doing what they can to keep the ball rolling. It looks as if there will be developments to report on Monday. If May is going down the road suggested, that puts the Ultras on the spot. They have to decide whether to block it, and bring down the government, or stand back and thus surrender the game - losing all influence. What we are now looking at is an indeterminate transition and probably a customs union with an undefined exit date graduating to an FTA with various regulatory bolt-ons with direct ECJ applicability. And the worst of it is that it will do little to alleviate trade friction. If this is the framework agreed then all the withdrawal agreement will do is postpone the cliff edge by a couple of years or slightly longer. Life is very often like this. When you put off the tough decisions circumstances will make your choices for you. That's where we are now. The Ultras very successfully campaigned against all of the options and in the final hours we are left to cobble together a solution just to avoid a calamity and to ensure our political obligations in respect of Northern Ireland are upheld. No vision, no ambition, just a miserable capitulation to the facts we've avoided. We could have elected to join Efta and stay in the EEA, obviating the need for a customs union and a vassal state transition but all the cleverdicks writing for BrexitCentral and Conservative Home said we could get a better deal - and that no deal wouldn't be a problem if not. Such is Tory arrogance. Whether or not the Ultras do make a last stand remains to be seen but all they can do do is smash the country into the rocks of the WTO option. The suicide solution. How our supine parliament reacts will ultimately decide which way this goes. Your guess is as good as mine. If they do make a move on Mrs May then they still have to confront the same realities or risk a crash out as talks expire. If that's how they want to play it they will be doing so in the face of a mountain of evidence that says all the things they say won't happen categorically will. I can't imagine that doing very much for Tory fortunes at the ballot box. As it happens, though, the UK can pick up the Efta strands at any time, so to an extent it doesn't matter what is in the withdrawal agreement just so long as there is a withdrawal agreement and the game is still in play. Once we have formally left the second referendum brigade will have to refocus their energies and the political capital of the ultras will be spent. There is then the chance of a unified upswell in favour of the Efta-EEA solution. It will depend on the message sinking in that an FTA is only marginally less dreadful than the WTO option. Much of the no deal warnings will remain the same when applied to FTA logic. We just need to buy time by securing a withdrawal agreement. Once that is in place the backstop then hangs in the air as a very real concern to which only a whole UK solution can prevent. 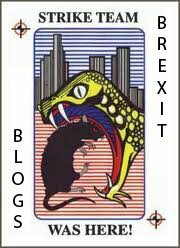 By then the EEA really is the only game in town. Hope there always is. Meanwhile this blog will plod on as ever it does, growing at a glacial rate but growing all the same. 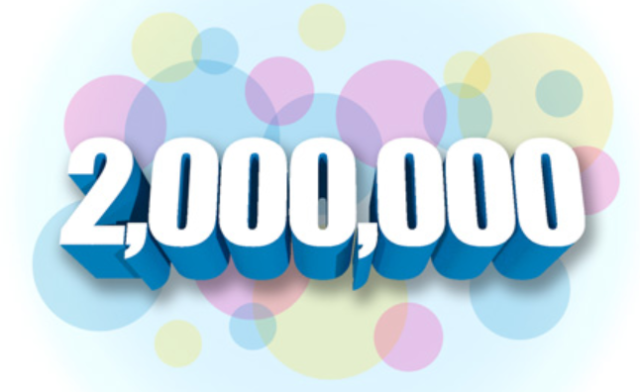 On that score I am happy to report that by close of play today one of you will be the two millionth reader of this blog and though that is not in the big leagues it is certainly an accomplishment for an independent blog with no party affiliations, tribe or prestige to hang on. It is what it is. Thank you for reading.